MODERN science, in seeking a secluded site for a magnetic observatory, chose the uplands of Eskdalernuir, a part of Dumfriesshire close to the English border. Isolated even now, Eskdale in the railwayless and almost roadless days of 1757 was uninfluenced by the dawning mechanical age. Yet in that year there was born, in a shepherd’s cottage near Westerkirk, a boy, Thomas Telford, who was destined to become the first President of the Institution of Civil Engineers and to find his last resting place with kings and princes in Westminster Abbey. The country boy grew up to spend his early days in his father’s calling, receiving at first his food, a pair of stockings and five shillings a year as wages. At the parish school he learned to read, write and do sums, but little else, and at the age of fifteen was apprenticed to a stonemason. In the little riverside town of Langholm, at that time a collection of thatched mud hovels with a few stone houses, Telford’s desire for knowledge attracted the attention of an elderly lady who gave him the run of her little library. The young stonemason read all he could and borrowed other books elsewhere. Poetry specially attracted him, and shortly after he had become a journeyman earning nine shillings a week he was contributing to an Edinburgh magazine. In 1780 Telford went to Edinburgh, then extending itself into the spacious “New Town”. Here, while working hard at his trade, he continued to educate himself, learning to draw and measuring and sketching as many notable buildings as he could reach on foot. In 1782 he was given the opportunity of travelling to London on horseback. Almost at once Telford found employment as a mason on Somerset House, where his handiwork survives at the corner of the building nearest Waterloo Bridge. His next move was to Portsmouth in 1784. Here Telford superintended the erection of several buildings in the Dockyard. Every hour of his time was usefully accounted for, and chemistry, among other things, he attentively studied. The Portsmouth buildings were completed in 1786, and Telford, having been engaged on the conversion of Shrewsbury Castle to a private residence, was appointed Surveyor of Public Works for Salop. In this post he designed and superintended the first of his numerous bridges. This meant a transition to the business of the engineer. In 1793 the change was recognized by his appointment as engineer to the Ellesrnere Canal, and in 1795, in the same capacity, to the Shrewsbury Canal. Telford, in spite of his upbringing, discarded the then conventional method of carrying canals across valleys by masonry aqueducts. Instead, although the piers of the viaducts remained of stone, though radically altered in type, the trough forming the canal bed running over them was made wholly of cast iron, a bold and novel construction at once cheaper and less liable to leakage. Similar originality appeared in other canal details, such as locks, tunnels, docks and gates. Telford was concerned in many more canal undertakings, notably the long Caledonian Canal, with its twenty-eight locks, and the Gotha Canal, which links the Baltic Sea and the Kattegat. Telford’s bridges are to be counted by the hundred, and many of them were built in connexion with his road systems. Here again an unusual degree of enterprise was shown. One little-known project was a single-span cast-iron bridge built in 1802 to replace the old London Bridge. Although technically sound, the scheme was not proceeded with beyond the preliminary stages because of difficulties in connexion with the buildings in the vicinity of the approaches. Another type, the suspension bridge, first developed on a large scale by Telford, has been found more manageable for wide spans. Telford’s Menai Straits suspension bridge, 1,710 feet long and 100 feet above high tide, was an outstanding achievement. Of Telford’s numerous roads, those in the Highlands of Scotland advanced that part of the country by at least a century. Scotland benefited too by the construction of numerous bridges and by the improvement of such harbours as Aberdeen, Leith and Banff, by Telford. Abroad Telford’s services were eagerly sought in many directions. With railways he had little to do. His last notable work was on St. Katharine Docks, London. No long period of retired ease awaited the successful engineer at the end of his life of unremitting industry, cheerfully and conscientiously performed. He died at his house in Abingdon Street, Westminster, on September 2, 1834, and he lies in the nave of Westminster Abbey. To the last he retained, in spite of much adulation, the unaffected manners of his early days. To Telford his duty in his profession and to his fellow men came first and, in an age of speculation of a dubious sort, he resisted all temptations to make money by any such means. 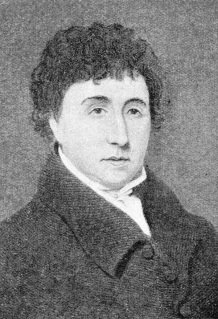 He died so ignorant of what he really owned that his legatees, among whom was the Poet Laureate Southey, found themselves with nearly twice as much as had been set down in the will. Yet the widowed mother in far-off Eskdale was provided for adequately all her days. Before and after her death many of the poor of the valley were quietly and substantially helped at Telford’s request. You can read more on “Building the Menai Bridges” and “Triumphs of Canal Building” on this website.